We have not posted a surf report for today. Please come back later for the surf report or check out the NOAA report on the left or Surfline on the right. SurfMB is your source for updated surfing information around the Myrtle Beach area. We have many tools that surfers can use in order to know exactly what is going on in the ocean. The surf report is updated daily at least twice and if you want to see a live source then check out our live cam. 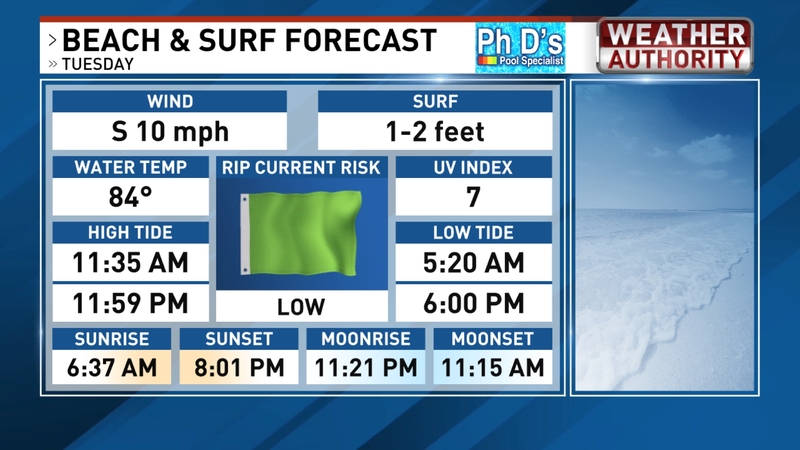 It doesn't get much better than seeing a live surf report. We created this site because as local surfers we found it hard to find a good site for a Myrtle Beach surf report. We hope to make this site the only site you need to go to for surfing information around the Myrtle Beach area. We hope that you enjoy the site and continue to return. We would love to have user feedback from everyone about your thoughts of the site. We encourage you to give us suggestions and ideas that you think would make the site more informative to your needs. If you have any suggestions please email us at: support@surfmb.com. The users are the people who will drive this site to new levels, so tell everyone you know about it. Mike's Bachelor Day Shenanigans from carvebeast on Vimeo. If you are visiting Myrtle Beach to have a fun surfing trip, visit avistaresort.com to make reservations for lodging.